When you start looking into healthcare administration programs you see the words accredited and accreditation quite frequently. A school that is accredited on the institutional or program level is a major selling point to prospective students. Why should accreditation important to you? When a school has completed the accreditation process, it means that they have passed a quality review of their school or program. This helps to ensure that you receive a high quality education that will appropriately prepare you for working in the healthcare field. Not all healthcare administration programs fall under the same accrediting body. Cleveland State University has a Master of Business Administration in Health Care Administration that is accredited through the Association to Advance Collegiate Schools of Business (AACSB)5. The University of Missouri has a Master of Healthcare Administration that is accredited by the Commission on Accreditation of Healthcare Management Education (CAHME)2. The University of Maryland – University College has a Master of Science in Health Administration Informatics degree which is accredited by the Commission on Accreditation for Health Informatics and Information Management Education (CAHIIM)6. All three of these degrees are healthcare administration degrees, but they happen to have different accreditation bodies. Here is a little bit of information how an accredited school or program can benefit you. If you are going to need financial aid to go back to school, you definitely need to take accreditation into consideration. The U.S. Department of Education has a requirement that all schools must be accredited if they want to participate in the federal student aid programs7. Sometimes life gets in the way of completing school like we had originally planned. You may have to switch from a traditional classroom based program to an online program or you may have to change schools completely. If you have to switch schools, then going from one accredited school to another will help ensure that you don't lose any previous credits earned. What if you don't want to stop your education? Graduating from an accredited school will help insure that you can continue onto your next degree. The University of Missouri amongst other schools requires that you have a minimum of a baccalaureate degree from an accredited institution4. If you didn't have a degree from an accredited institution you would be stuck. You may think getting a degree is all you need to do to get that healthcare administration job you want. That is not entirely true. Where you get your degree from also plays a big role in getting that job. Employers know that degrees from schools that are accredited are better than those degrees from non-accredited schools. So they may look at where your degree is from. 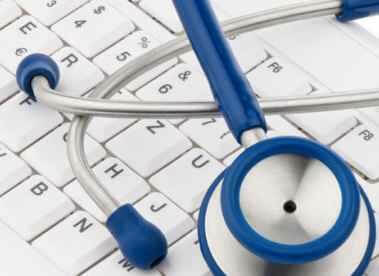 They may also take into consideration which accreditation your healthcare administration program had. Certain employers may prefer the CAHME accreditation because it does requires healthcare administration programs to have some on campus experience with working in groups to develop teamwork and leadership abilities3. Other employers may be like the AACSB accreditation because it allows for completely online programs1. Now you can see that the accreditation of a school or healthcare administration program is something important to consider in picking which school to go to. What are the Application Requirements of a Graduate Level Healthcare Administration Program?